I have just finished testing Mr Bear Family ‘Woodland’ Beard Brew Beard Oil, a brand from Sweden. Housed in a 30ml bottle with a glass pipette that has one of the most solid rubber tops I have come across ‘Woodland’ beard oil has a thin consistency with a fresh scent that is woodsy with a Lavender note. A blend of Almond, Apricot Kernel, Jojoba and Rose Hip Seed carrier oils with Essential Oils to give the Woodland scent. After dropping some Mr Bear Family ‘Woodland’ Beard Brew Beard Oil into my hand and warming by rubbing my palms together, I worked it into my beard and down onto the skin under the beard. The oil surprisingly left my beard feeling a bit dry? I spoke with a fellow Bearded man about this and he had had this with another brand and said it almost felt brittle, it’s hard to describe. Maybe the addition of Argan oil may remedy this? 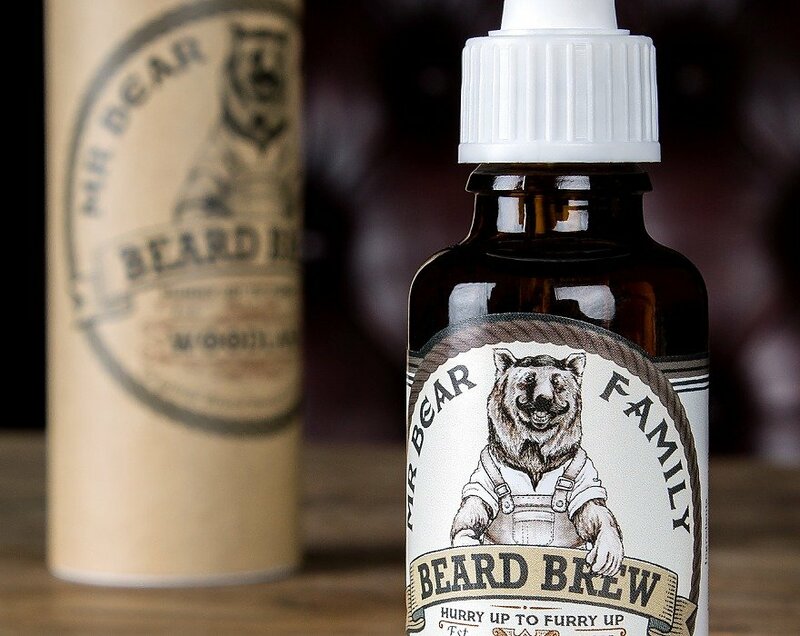 The 30ml Mr Bear Family ‘Woodland’ Beard Brew Beard Oil arrives housed in a protective cardboard tube with the Mr Bear Family branding on. The oil is available from the Mr Bear family website for 199.00kr which is about £23.81 in British Pounds! I wonder what effect Brexit will have on our ability to purchase products from Europe once it happens, I don’t think its going to be good all round!